These days I’m making my bulletproof coffee and low carb bagels at home. Or if I am on the go, I grab a low carb, keto friendly Starbucks drink and just skip the bagel altogether. I’m sure by now you are no stranger to the infamous fathead cheese dough. It is so incredibly versatile and can be made either savory or sweet. 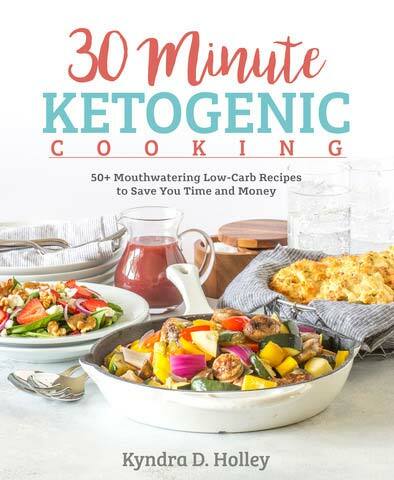 I have used it to make low carb empanadas, keto chicken pot pie, low carb pizza roll ups and more. With each new recipe, I tweak it just a bit, playing with the almond flour to mozzarella ratio and occasionally adding in coconut flour like in these Keto Hot Ham and Cheese Roll-Ups. The end result is always the same. Delicious! Gluten free keto friendly fathead bagels were a no brainer since I already have Low Carb Everything Bagel Dogs on my site. After playing around with a few different variations, I settled on a combination between my Bagel Dogs and my fathead pizza crust to make just the right texture for these. How long do these last? I’m new at making things like this! I would store them in the fridge and for up to a week or so. You could probably even freeze them and then toast them after thawing. thanks so much! Going to try this out soon. Slice the bagels before you freeze them, makes life easier when you want to toast them out of the freezer. You don’t need one at all. They keep their shape just fine. A regular baking sheet will do the trick. Donut pans do work if you choose to use ???? Thank you thank you thank you.!!! I just did this recipe in a donut pan and. It works but they aren’t a bagel shape. Donut bottom and bagel top 😜 Next time I’ll just bake on a cookie sheet. Love these! 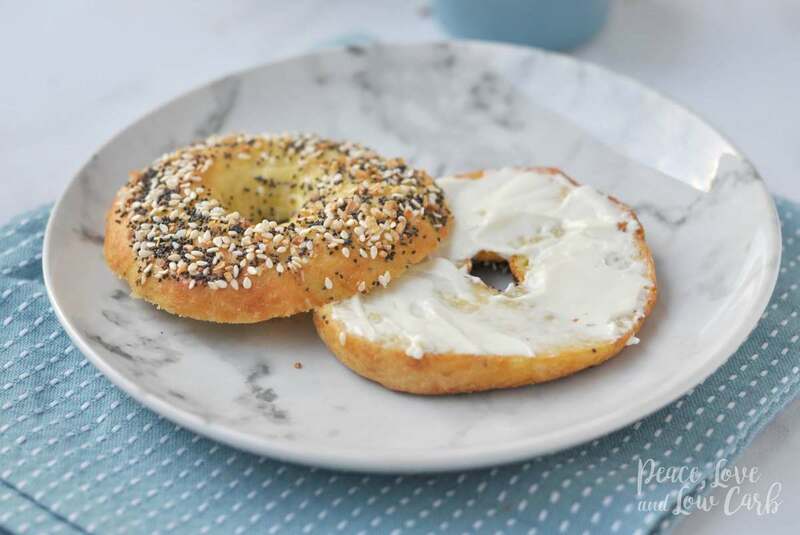 Easy to make and very good for a low carb bagel. Thanks Kyndra! Thanks so much. So happy you enjoyed them. THANK YOU TOMES A MILLION. new t keto and I am so excited to try these. How many carbs per bagel ? It’s included in the post. I just made the most delicious “Everything bagels”. I just added a little crushed red pepper to the top with the everything spices!! These look great, I miss bagels a lot. Do they toast well like regular bagels? Yes, absolutely. They are even better toasted. 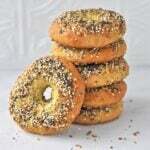 Can I make these without the spices so its a plain bagel and then top the bagel with the Everything spices? These look ???? great! I miss bagels. I love your site. Thanks for all you do! I do understand making money on your site, but why are the pop-ups for potato chips and high carb cereal? The ads that show up are intuitive to things that have been recently searched or clicked on in your browser. For example, if I ordered pizza online tonight, all the ads on my site would be for pizza tomorrow. When I visit this same post (right now) the ads are for a local music festival and for the grocery store that I get online delivery from. Interesting. Some are. Potato chips and Special K cereal are not at all. Oh well. Your site is a top one I come to and recommend. Great work! I have made practically every low carb bagel/muffin/bread out there so I had almost given up on finding a good substitute. I made a double batch of these and it made 18 medium sized bagels to keep in the freezer for my 4 picky kids. They were a hit!! Great recipe! Yay! That is awesome! So happy you enjoyed them! Hi! New here. Hoping thw same for my VERY picky 7 yr old.. wish me luck!???? Definitely going to try these. I bet they would make amazing omelet sandwiches. Can you do these without the seasoning on top!? Or maybe just plain poppy seeds? I have a general question similar to the one above: most of the dough recipes have the spices inside the dough…do they work w/o? I prefer a plain dough/with the flavors on the outside. If that makes sence…? I’m going to try making these into cinnamon bagels. I miss them so much! I’ll let you know how they turn out! Did you try it yet? I was just thinking of doing the same thing! Swerve and cinnamon to replace the garlic, onion, and Italian seasonings, and I was contemplating a sugar-free cream cheese frosting for them. is there a reason the eggs are divided and yet the directions say they go in whole? I am just wondering if i need to put the egg whites in and then the yolks or only the yolks or only the whites, etc. Oh Kendra, I LOVE YOU! These are awesome! I made them with the everything seasoning and used most of them for burger buns or sandwich makings, so GOOD! I stored in freezer. and thawed and rewarmed before using. THANK YOU! 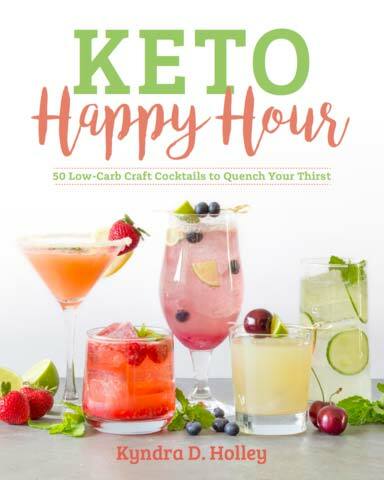 These look amazing and seem to be all the rage in a few keto groups I am in. Could you share the conversions if using coconut flour? I made these with sunflower flour instead of almond flour, same 2 cups and found I had to add a little coconut flour because the dough was too sticky to handle. But they are very good. Made these for the forest time tonight! Super easy and OMG! I will not miss store brought everything bagles with these yummy gems! Thank you for sharing recipe! Has anyone tried subbing the almond flour with anything? I’m hoping it’ll work with sunflower seed flour. Yes today I used 1 cup coconut flour with 1/2 cup flaxseed meal, they came out perfect. How would you make these without the special pan? Cookie sheet? How put something in middle so they don’t close? I made these today and they are SOOOO GOOD! Thank you so much for the recipe! I will be making these all the time. These look so good! I’m going to make them this weekend. My heart stopped when I found this recipe which is tearing through ( being posted a lot) one of the Wheat Belly Facebook pages. They are in my oven right now and I’m so excited I’m shaking and tearing up. I can’t wait until they are finished! This is going to be awesome! The dough was a little hard to work with but it was an easy recipe and they came out perfect and delicious. What a great recipe. Thank you! I’m making here now!! Hoping I did everything right!! Hi, I wrote a comment previously but I don’t see it here…so, here goes again. I don’t use a microwave. Please tell me if it would work heating up the cheeses. What would the consistency look like? What brand of mozzarella cheese do you use and what brand of cream cheese? Thank you. Yes, you could heat the cheese on the stove. The consistency would be the same, it would just take a little longer. I use a low-moisture, part skim shredded mozzarella. You can use any brand of full-fat cream cheese. Thank you Kyndra, I got your answer just in time….have all the ingredients now to make these! I am going to try it with full fat Polly O mozzarella cheese. And Temptee full fat whipped cream cheese heated on top of the stove. Excited to make these! Thank you for asking about not using a microwave! I don’t use one either. I’m excited about making these. I reheat mine on a skillet, just enough to take the chill off them. I also added chopped jalapeños to the dough this time. We really liked spice so it was really good! I refuse to have a .microwave in my house and I heated the cheese on stove top with no problem. They are so easy to make and are delicious!!!! 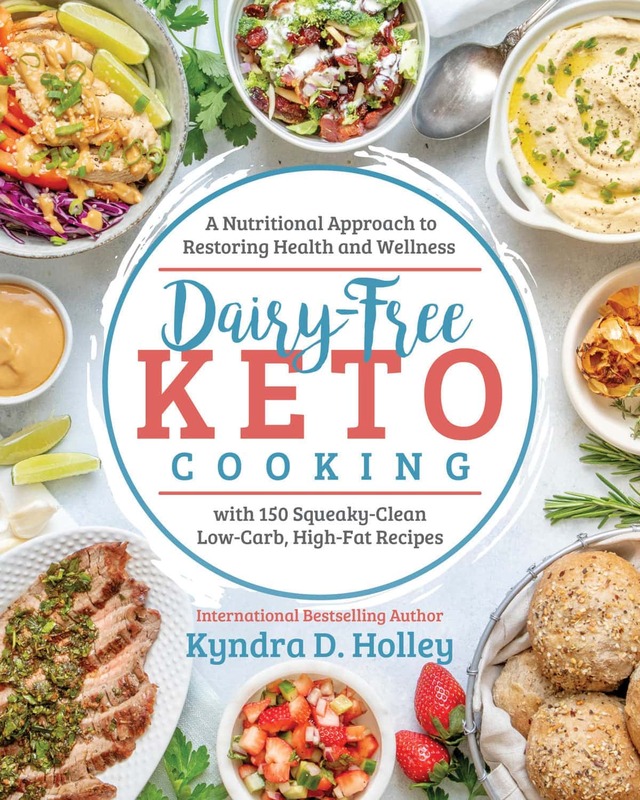 I did not see my comment published, so reposting – is there a way to make these dairy free? I have never tried this with dairy free cheese alternatives, but my guess it that it would not work out the same. I just made these. Bagels! I am amazed that you knew to combine the two cheeses like that and mix it with almond flour & eggs and be able to get a dough to form bagels! Wonderful idea! So I did use Temptee whipped cream cheese (6 T) and whole milk PollyO mozzarella , 3 cups – shredded it myself in my cuisinart…. My bagels ready spread out when they baked. I made 8 of them….they lost the hole in baking…so I now have Bialys! They are fabulous! I like the taste and texture too. Put lots of the Everything mixture on them! Thank you so much! I absolutely love these, and already have two people making them after I let them give the bagels a try/saw the photo. Thank you so much for sharing! Glad you liked them! My family loves these! My husband likes to slice them open and make a breakfast sandwich with fried egg, a couple slices of bacon, and a slice of cheese. My kids love them straight out of the oven with cream cheese. I decided to try a sweet version and substituted the garlic and onion powder for vanilla powder and cinnamon. Sprinkled Swerve and cinnamon over the egg wash and baked as usual. They didn’t rise as much as the Everything version, but they were tasty! My girls loved them. I think they could use a little tweaking. Perhaps you’ll tackle perfecting a Cinnamon Crunch (a la Panera) version? Cinnamon Crunch Bagels? I second that motion!! Yum!! I made these tonight! They are WONDERFUL! Thank you! Just made my first batch and OH MY, are they ever good. Much better than a regular wheat flour type of bagel. I’m thinking of making a pizza from this dough! Thank you, thank you, thank you!!! Made these tonight, but I replaced the everything seasoning with swerve and cinnamon…I put some in the dough and sprinkled some on top. Absolutely delicious! Thank you for a great recipe! I am serving bagels, cream cheese and smoked salmon for breakfast tomorrow (Christmas Morning). I did not want to cheat and have one of the everything bagels I purchased. I came across your recipe today and make a batch. I did not have everything spice but I had garlic, sea salt and sesame seeds. No.words to describe these how incredible bagels turned out. Beyond delish.. thank you. OMG!! These are to die for!! Made them to the recipe (omitting the Everything Bagel Seasoning & Italian Seasoning as I did not either on hand). and I missed nothing about the high carb bagels from my local bakery. 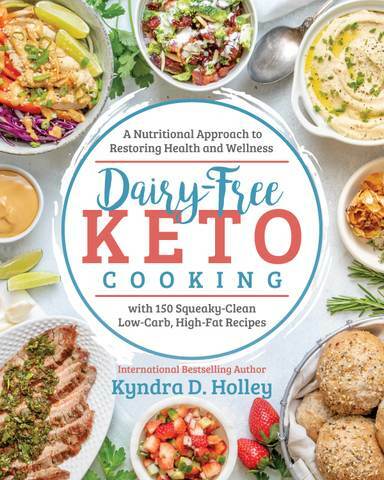 I shared with a couple of friends (who are not on a low carb diet) and they loved them too! Thank you for an amazingly delicious bagel recipe. I will for sure be making more of them!! I cannot believe how good these were! I used them for breakfast sandwiches and turkey sandwiches and straight with cream cheese! A new favorite in my house. Definitely keeping this recipe on hand! Thank you! Just made these. Had no onion or garlic powder so used maple garlic seasoning and had to use some four cheese bc I didn’t have enough mozzarella cheese. Used a pizza stone bc no parchment. Poppy seed for top. Cant wait to taste! Cindy, I didn’t have enough mozzarella either! I had to sub the last cup for cheddar. They smell good, so I’m praying they turn out good!! They are baking as we speak! Is it best to let them cool before cutting? Just made them and they are great!! Thinking that toasting with firm up the texture as well for cutting. Thanks so much for your awesome recipes!! I made these today and they were so simple and SOOO AMAZING!! I had some pulled chicken so I made a sandwich out of it and it was out of this world! I have another batch in the oven now!!! Thank you so much for this incredible recipe ???????????????? Thank you for the recipe! The first time, I made it as written. After that, I’ve been making smaller ones, 10-12 to a batch. Second time, at my husband’s request I made one batch plain (omitted seasonings, added a little salt) and one batch cinnamon (omitted original seasonings, added 1 Tbsp erythritol with the almond flour, 1 tsp cinnamon at the end after all is mixed to make it swirly). On the plain batch, I put the everything bagel seasoning on a couple for me. I find you do not need additional seasoning inside of the bagel. To me, it tastes more like a bagel if you leave that out and just put the everything sprinkles on the top, which I was able to get at Trader Joes. Last night I made a batch with black and white sesame seeds and salt on top, plain on the inside. I have been grain free for 4 years and that’s how long it had been since I had had a bagel. I kept telling myself I probably had eaten enough for a lifetime already. I don’t know what sorcery makes cheese and almonds taste like a bagel, but I like it! Thank you! These are freaking amazing!!!! Thank you!! gone to post a pic on your instagram 🙂 Thank you! Has anyone reading this tried substituting cheddar cheese for mozzarella to make them more Chonga-like? Yes, I substituted cheddar for half the cheese. The holes disappeared while baking, but who cares — these are very tasty when toasted and buttered! @Vic I subbed 1/3 cheddar (Actually Cabot Mad River Reserve – Cheddar Parmesan) and they were really, really good. Do it! I got the Mad River cheese at Costco. They have “unexpected cheddar” at Trader Joes which is identical taste. If you like parmesan and you like cheddar, try this cheese! Also, I found I liked the cheddar bagels better toasted with butter rather than cream cheese. It allowed the cheddar flavor to come thru. First time trying to make any type of keto bread and these bagels were amazing! So yummy! Thank you! OMG! These are obnoxiously delicious. Thank you. Made these today. Taste delicious. Just want to make sure I heated the cheese to the correct consistency (heated per directions). As I stirred it after heating it all pretty much formed a ball (for lack of a better description). I took quite a bit to mix and incorporate the eggs and flour mixture into the cheese. Is this correct? Can’t wait to experiment with making different flavor variations!! @Michelle The cheese will be melty when you take it out of the microwave. You have to work fast and get your ingredients in there and stir. Have everything ready to dump in. As mentioned in the recipe directions, I usually have to pop it back in the micro for 20-25 seconds to soften it up to finish stirring it all in. Also note, microwaves vary in their power/cooking times. Mine is very fast/hot, so I have to watch it, while a family members takes twice as long to heat things. It could be that you need a few more seconds of microwaving. Oh my word!! Just took these out of the oven and could t even wait for them to cool before tasting because they looked amazing and smelled heavenly! I can’t wait to have a breakfast sandwich with one of these! I haven’t tried a single one of your recipes that we haven’t loved. Thank you!!!!! Best Keto bread recipe I’ve tried yet! I ran out of cream cheese so had to sub for sour cream and they were great! So Good! I eat them with cream cheese every day around 3pm, which is my weakest carb craving time! It has been so helpful! They keep really well too. Thank you! I shared your link on my blog! Excellent directions! They came out beautiful. I haven’t had a bagel in 7 years. Thank you! Can anyone give me some advice on how to keep these from spreading out and getting flat? OMG- these are life changing!!!!! Thank you so much for posting this recipe!! These bagels are absolutely amazing!!!!! I have tried to make so many low carb bread recipes and they never taste good. I love this recipe and definitely will be using more of yours!! These are (by far!) my favorite low carb recipe!! They tasted like red lobster biscuits to me and my whole family even loved the taste! Great flavor and texture, I’m so pleased with how these turned out! I made these today and they were great! The texture is fantastic. They reminded me of garlic bread and would be so great rolled out and cut into strips and made with spaghetti. I’m going to try them with cinnamon and sweetener for a sweeter version. OMG these are AMAZING! I live in Amsterdam so it’s great to be able to make foods that I can get the ingredients. You really are the best! I just made these for my mom and she loved them thank you!! I would love to see other versions of the bagels ???????? I made these and they were seriously BEYOND delicious!! My husband is not even following low carb and I had to stop him from eating them all!! Seriously, they were easy to make, tasted divine, and didn’t leave you with that bloated bagel feeling! I used an Everything Bagel mix from Trader Joe’s on top and it was amazing! I had a tuna and bagel melt as well…OH MY!!! That Good! BEST RECIPE EVER! It’s stuff like this that make KETO doable, long-term. Thank you for this delicious bagel recipe!!! I’ve made last at least 4-5x. Everyone in my family loves them. I made these today and they are delicious. Went a bit flat but I think it needs to be shaped into a ball. I may have shaped them too flat to start with. Used Everything Bagel Seasoning from Trader Joe’s. Made these this morning and WOWZA! LOVE! Texture was more cake like than I expected but that may be because I could not wait to eat one! Since I already had a donut pan I used it. Wish I could share the picture. They turned out beautifully. Thanks for a great recipie! LOVE these!! Super simple to make, and actually delicious. They don’t taste “fake” and are super satisfying! Just a smalll pet peeve of mine. Since I’m not an experienced baker (and other recipes have said this before) you say to divide the eggs but then mix them with the mixture. Am I mixing the whole egg back in, just the whites, just the yolks? Divided means that all three eggs aren’t used in the recipe at the same time. Two go in the mix, and one is used as an egg wash for the top. I think the term you are thinking of for eggs is separated. That is when you would separate the yolks and the whites. Hope this helps. I just made these today! I will be in the market for a cookbook for sure! Thank you for posting! I enjoy all your post! I was so excited to try these and made them today. I hate to say it but mine came out really, really bitter?? So bitter that I had to toss the batch. This is the second thing I’ve tried to make with almond flour and both things were not edible due to how bitter they are. Do you think 1 TBSP of Baking Powder should have been 1 TSP? Any insight would be so appreciated!! Thank you! Hmmmm. Sounds like maybe your almond flour has gone rancid. Have you had it a long time? Also, how are you storing it? I think I found out the culprit….it was my baking powder.. It was WAY over expired and also contained aluminum. I bought new non aluminum baking powder and so far all other baking has been fine. 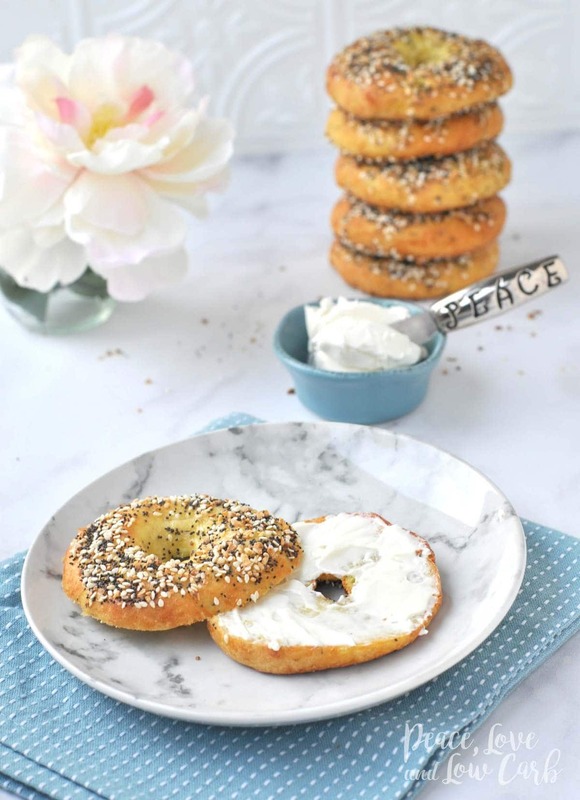 I’m going to try these yummy bagels this weekend!! I’m doing some recipe testing g in advance of a keto lifestyle change and these are AMAZING!! I found one of your cookbooks at my local Costco. I hope all if your recipes are this good. How can I make this recipe into cinnamon raisin bagels? A-MAZING! I would eat these even if I wasn’t on the Keto diet. I tweaked the recipe a bit for my liking and I’d love to share! It’s pretty difficult to mix the dry ingredients into the stringy cheese (after microwaved) and get it spread evenly, so before I microwave the cheese, I add all the dry ingredients (everything in 1 bowl). I nuke the mixture for 1.5 minutes, stir, then 2 more minutes. WAY easier to mix, and mix evenly. Also, I love the Italian seasoning, so I use 2 teaspoons instead of 1. I don’t care for the Everything Bagel Seasoning, so I’ve never used that, and I don’t form them into bagels either…the hole doesn’t make them taste better (????) and it’s just more work. Bake for 12 mins at 425 and they’re the bomb!! I made them according to the recipe, just leaving out the onion powder and italian seasoning. The came out looking great and tasting good. My only issue was they were too light and fluffy for a real bagel feel… would reducing the baking powder make them denser and chewier? I am not a baker, so I really don’t know how to adjust that. I loved how easy these were to make! I’m on KETO and my office has free bagels in the office today! Everything bagel is my fave and I tried so hard to control the craving. So I looked a Keto Bagel recipe and SO SO SO glad I found this!!! Gonna shop for poppy and sesame seeds today and make them. AAAAAAAAAAAAH. Too excited to work!!!! they sell it at walmart! I made these today and they came out SO good! I added grated Parmesan and Romano cheese to the top of them along with the Everything But the Bagel seasoning and O.M.G.!!! I think I didn’t form them correctly because they turned out a bit flatter than the ones here on your blog. Maybe I should try the donut pan idea. They did hold their shape but I want them to be sliceable….is that a word?? LOL – thank you for this recipe! I made this recipe three times now. I gave my sister a sample and she she asked me to make a batch for her. I had cream cheese and lox on one and it was amazing. Love these bagels, I don’t miss the traditional ones with flour one bit. Just made these and they are SO good! They have such a good crumb and the flavor is amazing! Thank you! Made these tonight !!! I couldn’t find the everything bagel seasoning when i was out so i just put some poppy seeds, onion and garlic powder on top in substitute , and oh my they smell good !! I made a tiny taste tester one and I approve ! Can’t wait for the morning to have an entire one !!! Thanks for the recipe !! Just made these after wanting to find a more flavorful fathead dough recipe for bagels. These are SO delicious! I didn’t add the everything topping but it didnt matter. They are just as delicious without it. I’ve made these 5-6 times in the last 6 mo the. They always turn out amazing! Even my decidedly non-keto, all-carb husband loves them and my kids do too! Thanks so much for creating this recipe! These turned out perfectly! And I can see this dough will be versatile as well. Thank you so much for developing this recipe, I appreciate everything I’ve learned and am learning about my new WOE mostly from you and your sites! Peace and love to you!! Loved these bagels! Came out perfrctly in my donut pan and made one additional small bagel that I baked on the side. I also tested a half of one as a bun for a hot dog topped with some leftover keto chili and cheddar . Yum!! Love love love this recipe! Absolutely delicious, surprisingly a big hit with the kids. Thank you! This recipe was easy to follow. I didn’t have the Everything spice, so I used Himalayan Salt, Pepper, Garlic powder, Italian Seasoning, Hemp and Chia seeds. Now, these look like bagels, but don’t have that bagel taste (new yorker, here), but they hold cream cheese and butter very nicely when you just need to grab and eat something. I made these yesterday and they were DELICIOUS! Son and hubby both approved! I used a silicone bagel pan and they look like store bought! I made these this morning, and we loved them!! I must have done something wrong though because they spread out and flattened some. I measured out baking powder, that I just opened. I either wasn’t careful enough leveling off the tablespoons of cream cheese or I smashed too much mozzarella cheese into the cups. Maybe I oiled my hands too much? The dough was extremely sticky. I would appreciate any tips. Thank you so much for the great tasting recipe! Even better than I hoped for! I’m new to Keto baking, and these hit the spot! I was dying for a sandwich and it’s oft and raining out side so TUNA MELT!!!! Thank you! 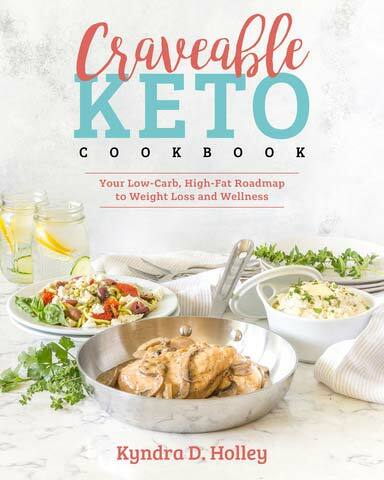 You’re rapidly becoming my go-to Keto guru! Made these today as every one around me were having pizza … somehow everyone wanted a bagel as well!! They are stunning, so happy to have found this Blog – thanks for sharing. My only question – when I added them to MyFitnessPal, it calculated the Carb g per bagel as 45!! I am new at Keto and still work everything through MyFitnessPal. Is this something I should just ignore? Made these and they are perfect! They’re so easy to make. I love how they hold together when being used as sandwich bread. This recipe will be made time and time again! Thank you! I used this dough to make keto focaccia tonight. I made the dough, rolled flat into a jelly roll pan between two pieces of parchment, dimpled the dough, rubbed on some olive oil and sprinkled with garlic and sea salt. It took about 10 minutes to bake up at 425. My family loved it! We dipped into cabbage soup! Recipe worked out quite well. I am happy to find a GF bagel that doesn’t have a weird rice flour aftertaste! I am the happiest person right now Wow! Bagels are amazing! I used zatar on top and thyme and basil in the mix. Amazing thank you. One question can these be frozen? I’m hoping you can help, I purchased the cookbook and made these, but my bagels flattened a bit (making them super dense). They were ok, but I bet they’d be better if they were thick enough to slice and slather with cream cheese. Any tips for keeping them from flattening? Should I have chilled the dough before putting it into the oven? Less cheese? More flour? Anything helps! Just made these! I think I’m in love!!! Based entirely on smell and the small piece I tasted these are the best thing since sliced bread! Who needs carbs? Made tethers last night…turned out amazing! Even my 16 year old son ate one and loved it. Just made these today–they are RIghteous! I omitted the seasonings that go into the dough, used 4 egg yolks in the dough instead of 2 whole eggs (to emulate an egg bagel)’ and added 1 tablespoon instant dry yeast. Also I used a silicon doughnut pan. No need to grease the pan. I generously sprinkled my seasonings (I did a variety: plain, everything, sesame only, garlic only, cinnamon, onion) into 5 doughnut wells. I weighed the dough and divided by 6 (this time each bagel was 106 g dough) who knows next time. I like to weigh rolls ‘n such so they cook more evenly. It made 6 glorious, but a might too big bagels (IMHO), next time I will 7 bagels per batch. As a side note–the yeast is for flavor only because there is no real sugars to feed it and make it rise. Tomorrow I will be adding some frozen blueberries inside the dough and a little extra cream cheese swirl in right before baking to surprise DH. I will let you know how they comes out. Also I am going to try a rye flavor using caraway seed. Just made these and they were very good. They are definitely not a New York bagel but with all the toppings they will satisfy your bagel cravings. I thought they tasted better toasty and would probably pat them down more for a thinner bagel. The doughy center was hard to get toasted and I liked the thinner toasted side better. Mine cooked perfectly and did not spread out as much as others have commented. Just my take. Thanks Kendra! I made these for the family but I cut the recipe in half for the first time – bad mistake!! Got yelled at – why did you only make three?? LOL! So I will definitely make the whole batch next time! We can’t use the garlic and onion powder but still very flavorful with Italian seasoning. I would love a recipe like this with gluten free flour as I cannot do almond flour. But the family loves them and easy to make! Next full batch coming up! Holy smokes… A keto everything bagel that’s on point! WOW we were super surprised how these turned out! OUTSTANDING! We’ve been doing keto for about a month now. I don’t miss bread but the girl does. We added cream cheese an egg and some grass finished breakfast sausage to half a bagel and oh my goodness! What a treat! Thank you for this outstanding recipe. You have another follower for life! I will say that eating both halves with the egg and sausage was WAAAAAAAY too much but the bagel with cream cheese and butter or half with the egg and sausage is plenty for sure. Still blown away at how good these are! New to Keto. These are wonderful. I left out garlic and spices and they were excellent with smoked salmon. I did put the everything on the tops. So good. Thank you for the recipe they were super yummy and satisfied the craving. Is the consistency like that of cornbread? I was thinking they would be more doughy but they flaked a lot like cornbread and I’m not sure if it was the type of flour I used. I used a superfine blanched almond flour. Just made these yesterday and they taste better than regular bagels, sooooo good! Thank you! I made this recipe for the first time this week. I had bought one of those donut silicon baking trays and wanted to try it out. They came out perfectly, and I intend to use the remaining dough to make pizza this weekend! Highly recommend it. I substituted the Italian seasoning for 1/2 tsp chili powder and used 1cup mozzarella and 2cups cheddar cheese. I also added 1/4 cup diced jalapenos to the dough. I made 12 mini bagels. I’ve made these twice. The first time, I made 6 and found that I hard a hard time eating the whole thing because they are so rich and filling. This last time, I made 12 and they are perfect! I freeze them, defrost for 20 seconds in the microwave, split and toast them. Also, I reduced the amount of onion and garlic powders by half just for my tastes. These are a staple! I love them with either cream cheese or for a sandwich. THANK YOU for sharing the recipe! Omg so made these bagels which were amazing! Then turned the recipe into pizza and it was that much better! These are amazing! You have no idea how excited I am to have sandwiches back in my life! Thank you! I only have sharp chedder cheese on hand will that work? 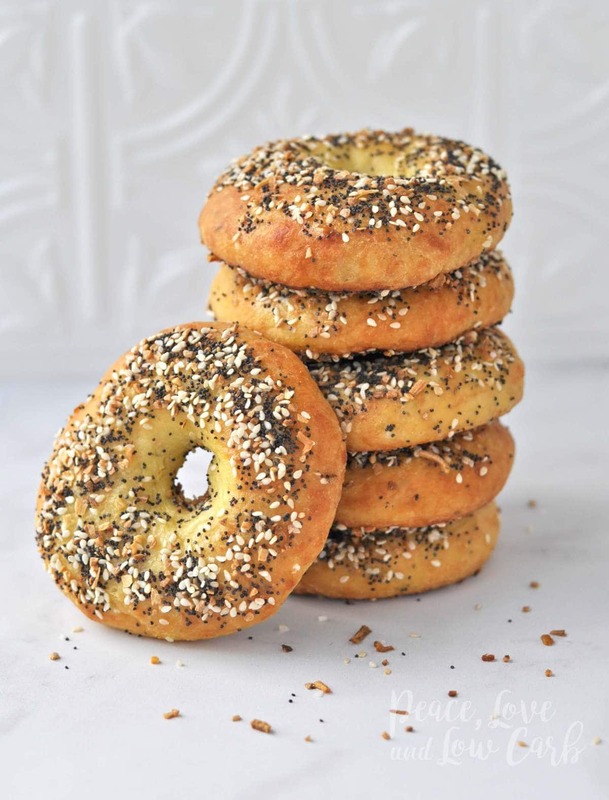 Better than gluten high-carb bagels! I make 12 mini bagels and don’t flavor the dough. I do add poppyseeds and sesame seeds on top. Seriously the best bagels I have ever eaten! Thank you so much for this recipe. My boys don’t even remember ever having bagels and they are simply thrilled.